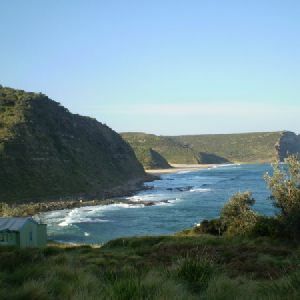 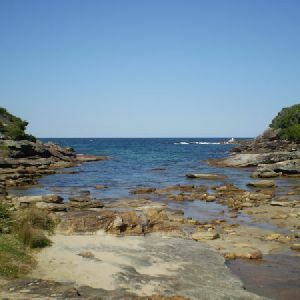 Turn left: From the intersection, this walk follows the bush track along the coast, keeping the ocean to the right for a short while before the track descends steeply off the rock-shelf and down a rough bush track to the end of Marley Beach. 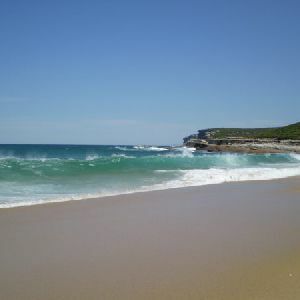 At the end of this side trip, retrace your steps back to the main walk then Veer left. 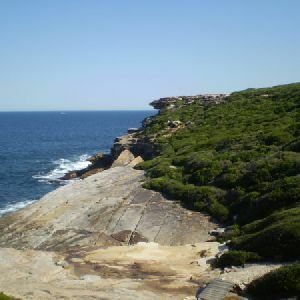 Veer right: From the intersection, this walk follows the bush track winding along the coast, keeping the ocean and the cliffs to the left. 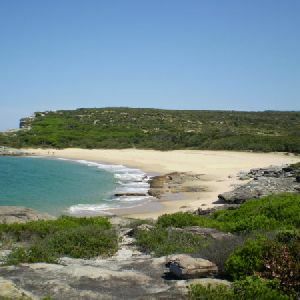 The track winds down the hill for a while before coming to the end of Little Marley Beach. 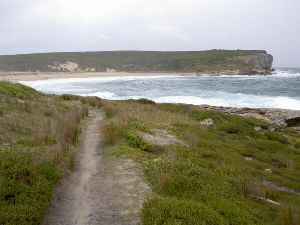 Veer right: From the intersection, this walk heads north-west down the spur, with the spur on the right of the track. 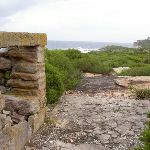 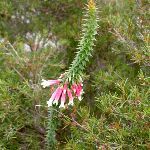 The track then descends onto the saddle and continues north-west through the thick wall of scrub on either side, to the ‘T’ intersection approximately 400m down the hill. 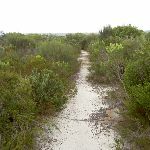 Turn left: From the intersection, this walk heads north-west along the flat trail which runs through the scrub. 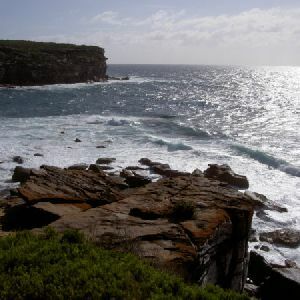 The track continues for approximately 100m, then begins to descend after passing a rockshelf on the right. 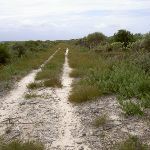 The track continues for approximately 300m, following the sprayed white dashes through the dense scrub and coming to a clearing. 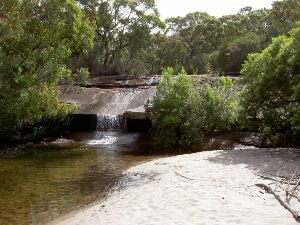 Continue straight: From the clearing, this walk heads across the top of the waterfall, then follows the arrow on the sign across the creek on top of the waterfall to the other side. 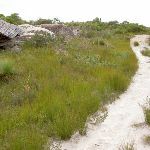 The track passes a clearing on the right as it continues up the hill, following the sprayed white dashes up the hill. 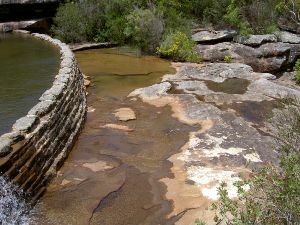 The rather narrow track leads up the hill to the road, crossing a few rock platforms. 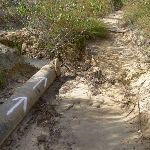 The road is found about 350 meters past the old pipe with white spray-painted arrows. 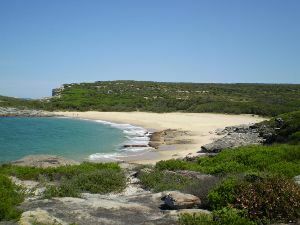 There is a ‘Marley Track’ sign just before Bundeena Drive, and a car park on the other side of the road (1.7km east of Mainbar Rd). 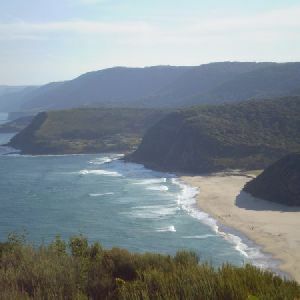 7km of this walk has short steep hills and another 3.5km has gentle hills with occasional steps. 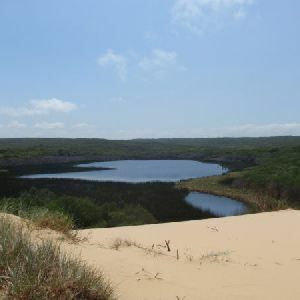 The remaining (440m) is flat with no steps. 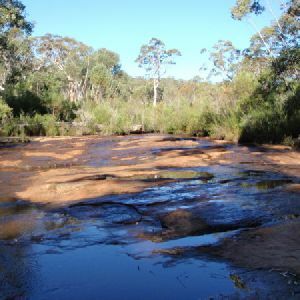 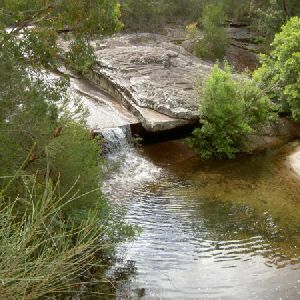 Around 7km of this walk follows a formed track, with some branches and other obstacles, whilst the remaining 3.9km follows a clear and well formed track or trail. 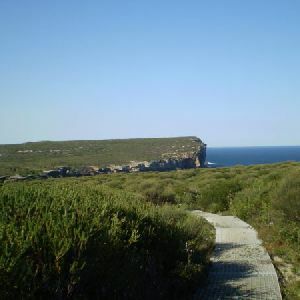 4.9km of this walk has minimal directional signs and another 4km has directional signs at most intersection. 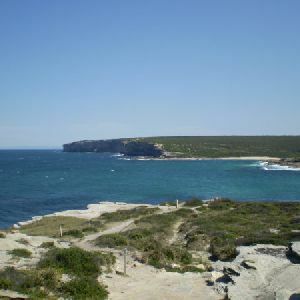 The remaining (2.1km) is clearly signposted. 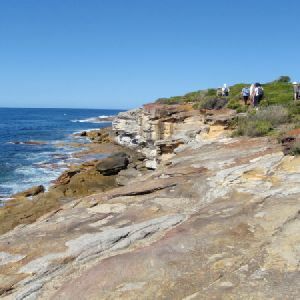 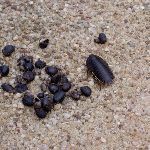 Around 9km of this walk requires no previous bushwalking experience, whilst the remaining 1.6km requires some bushwalking experience. 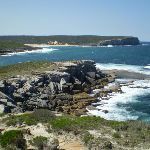 Around 7km of this walk is not usually affected by severe weather events (that would unexpectedly impact safety and navigation), whilst the remaining 3.8km is affected by storms that may impact your navigation and safety. 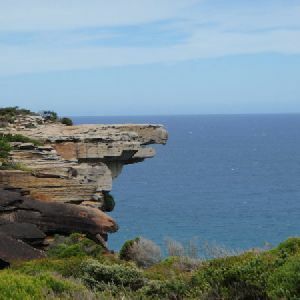 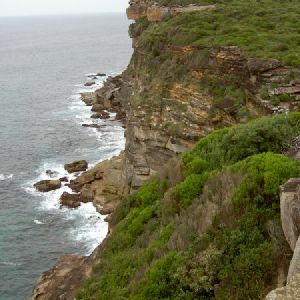 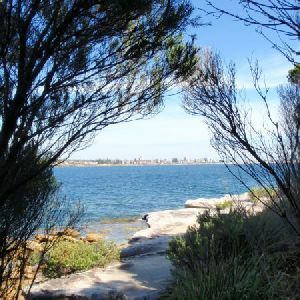 Around 6km of this walk has limited facilities (such as not all cliffs fenced), whilst the remaining 4.9km has limited facilities (such as cliffs not fenced, significant creeks not bridged). 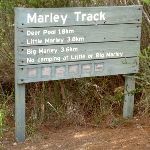 A list of walks that share part of the track with the Marley Track walk. 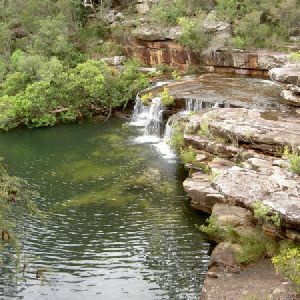 A list of walks that start near the Marley Track walk. 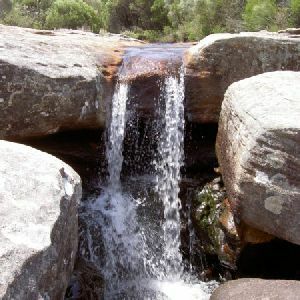 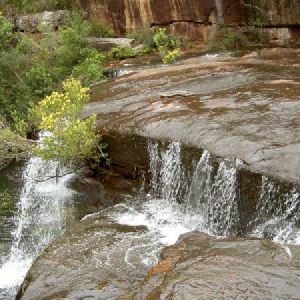 http://new.wildwalks.com/wildwalks_custom/includes/walk_fire_danger.php?walkid=nsw-royalnp-mt Each park may have its own fire ban, this rating is only valid for today and is based on information from the RFS Please check the RFS Website for more information.